In September 2018, Paulist Fr. Bernard J. Campbell become associate pastor of St. Patrick's Catholic American Parish in Rome, Italy. Fr. Campbell is a native of the Bronx, where he attended Holy Spirit Parish and School. He entered the Paulist novitiate in 1961 and made his first promises on September 8, 1962. He earned his undergraduate degree and an M.A. in Theology from St. Paul’s College, the Paulist seminary in Washington, D.C., which was then a degree-granting institution. 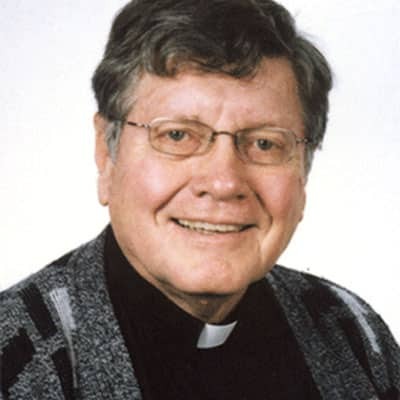 He also served as pastor of St. Paul the Apostle Church in Horseshoe Bay, TX, and associate pastor of the Cathedral of St. Andrew in Grand Rapids, MI. Fr. Campbell also has served on our mission band. 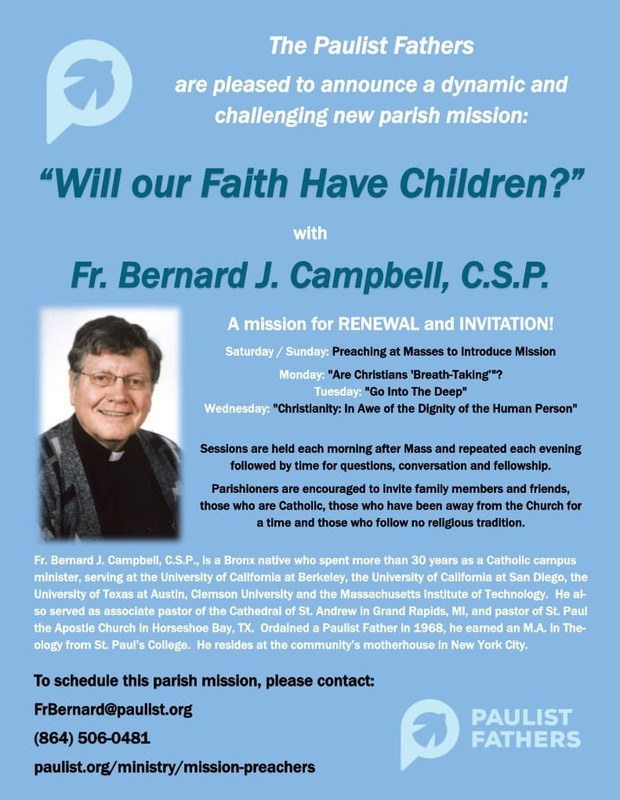 His current parish mission is called "Will our Faith Have Children?" He can be reached at FrBernard@paulist.org or (864) 506-0481. You may also find photos from his life and ministry on Pinterest.